Pre-order it is a simple solution brings profit. It's not a just button, it's a sales generator. What is Pre-Order Manager about? 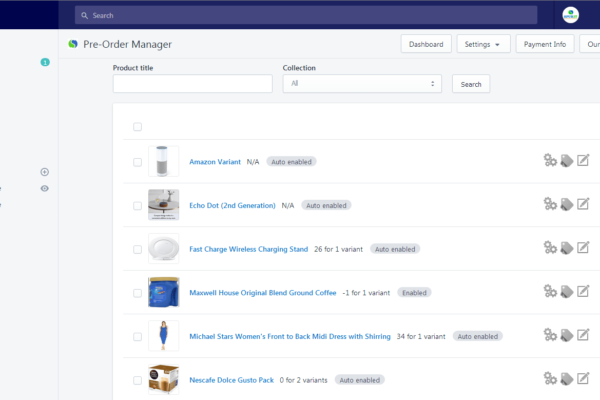 For example, the Shopify store owner can easily connect the Pre Order Manager with the inventory tracking app of competitors. This option provides the client with a detailed view of how the product looks plus the opportunity to place a pre order quickly. The Pre Order Manager app works well with any Shopify theme. It is possible to allow pre order access for several individual countries. The App management system is flexible, allowing a user to organize pre orders for different product groups. 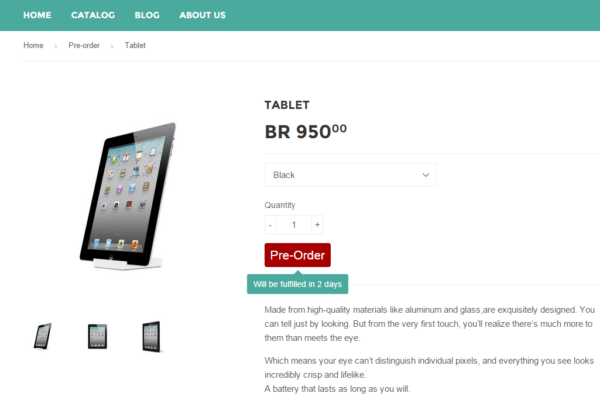 Website users can create a pre order button of any extent using their full imagination. The easy-to-use Shopify Pre Order Manager App allows for the addition of the ‘Pre Order’ button for any products that are out of stock. As a result, the online shop owner can lower the cost and even make a sale of the pre order items that will be delivered to the customer within a few days. Also, there is the option to write an additional message near the ‘Pre Order’ button with the current information about the order and when it will be shipped. The full control of the Shopify Pre Order Manager App is maintained in the admin panel, where it is possible to handle all the pre orders. The Pre Order Manager Shopify App attains full customization and compatibility with Shopify themes and templates. Fantastic App that just keeps getting better! … Highly recommend this app and company. … App is great on keeping customers purchasing when you’re out of stock! …We get sales all the time using this button. There is no measurable about of money this little app has made for me. …Encourages sales – close deals now instead of waiting for items to come instock. Try #1 Pre-Order Manager now!